At BIDLANE our team aims to be your one-stop-shop when it comes to selling your old car in Arcadia and the surrounding area. At our store, you’ll be able to bring your old car in, get an inspection, an offer, and finally go home with a check. All at a faster pace than you may think. And with our multiple locations, finding a store in the Los Angeles area is made easy. When you value your trade at BIDLANE you know you’re getting a fair deal. If you’re selling your old car, we want to help you make the most from your sale. That way you can use the money to fund your next vehicle or save it for something else. Our process takes the complication out of selling your old car. That way you don’t have to stress over finding a buying or getting the right price. If you’re ready to sell your old car, schedule an appraisal with our team. Once you do, you can bring your old vehicle in for an inspection. Each inspection is short and to the point. Which means you can return, check-in-hand, to your Burbank, Costa Mesa, or Pasadena home sooner rather than later. 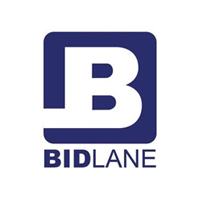 Schedule your appraisal today and see what BIDLANE is all about. Once you explore your options, you’re sure to see that BIDLANE could be one of the best. Value your trade and start the process of getting your check faster.